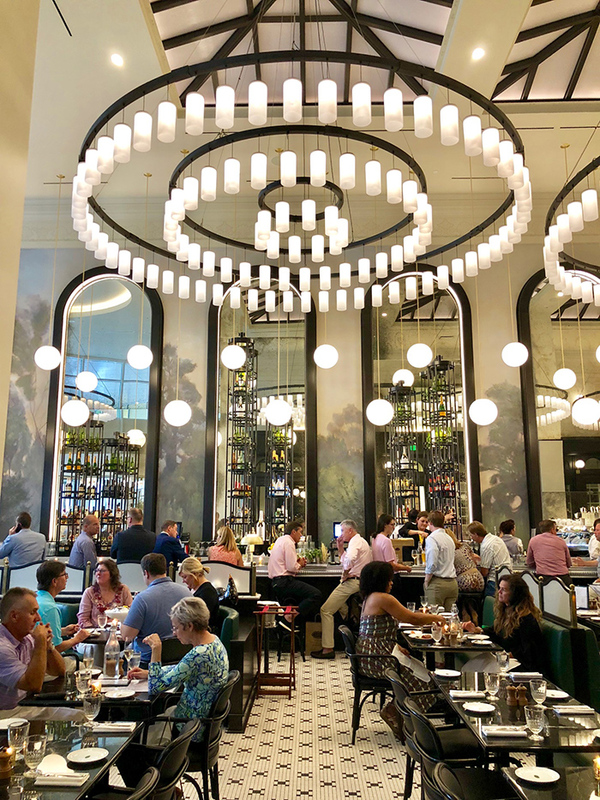 La Belle Helene, a new upscale French brasserie, is now open at 300 South Tryon in Uptown. 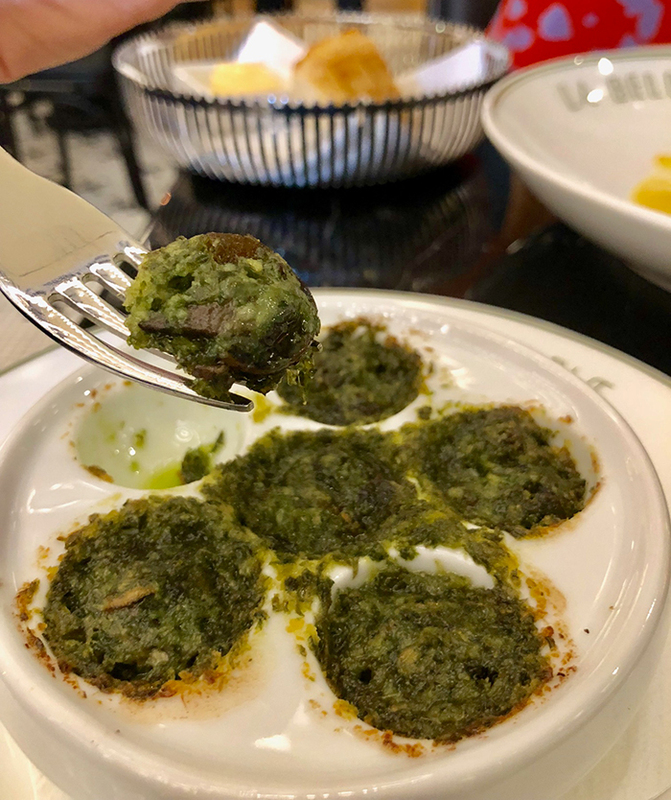 More commonly known by the owners as “LBH,” this new eatery stays true to an authentic French ambiance. 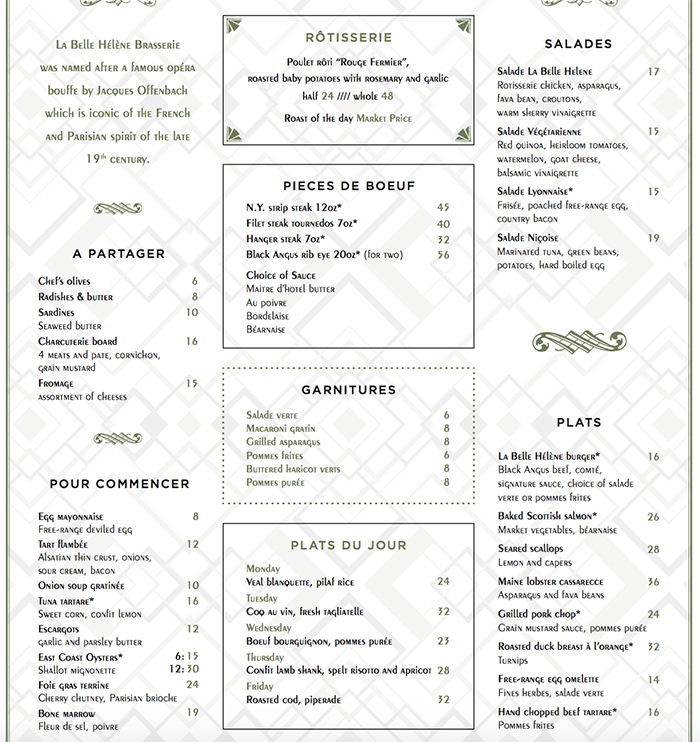 Led by 30-year-old executive chef Michael Rouleau, LBH will serve lunch, Le Goûter, dinner and Sunday brunch. 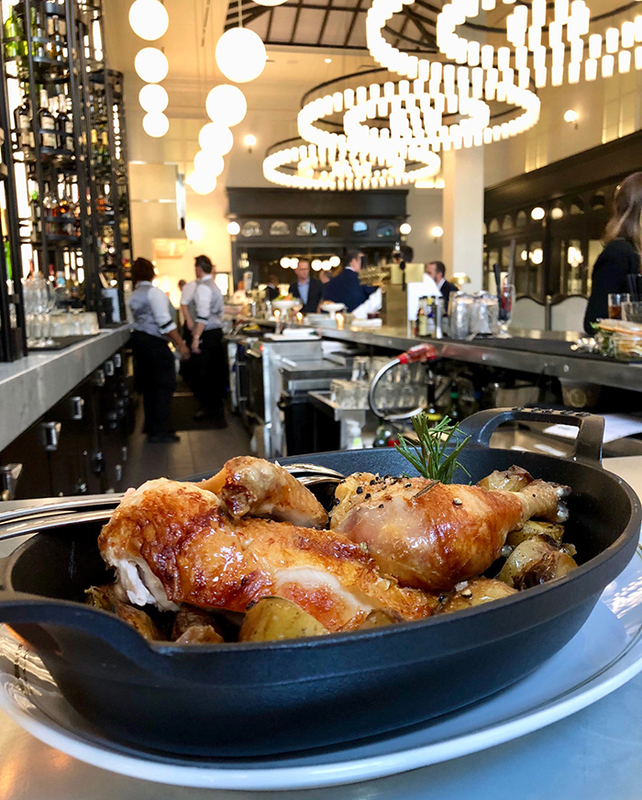 Expect a modern take on traditional French dishes. 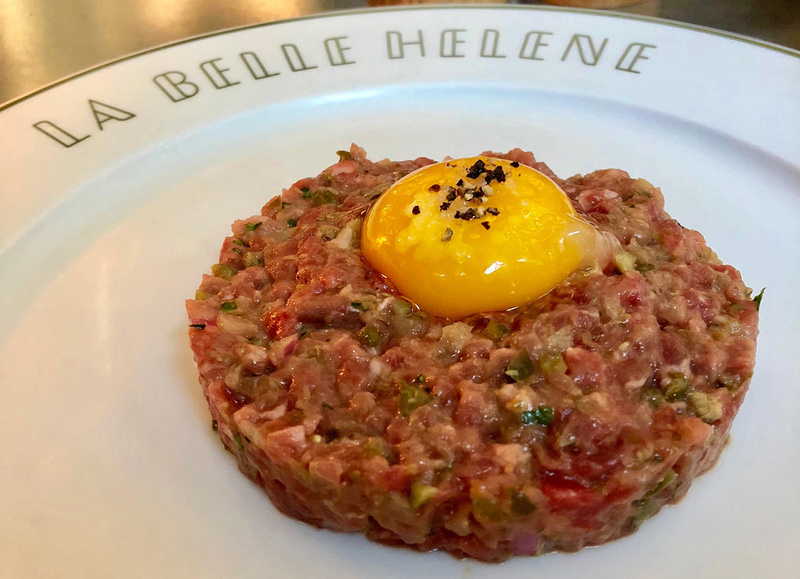 Ownership’s goal is for La Belle Helene to be used for a first date, business lunch, special family occasion, or an impromptu everyday gathering with friends. 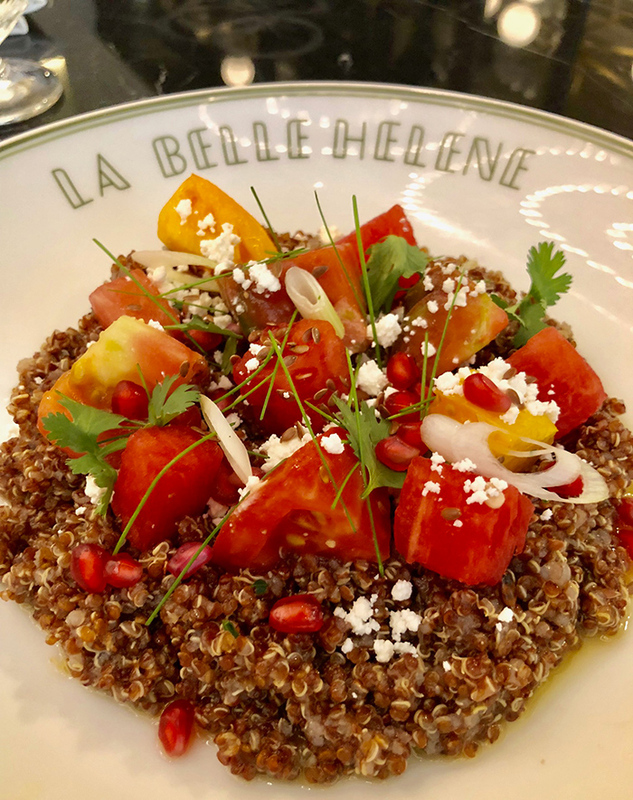 My wife and I went to La Belle Helene for a date on their opening night (July 31). Here are a few quick takeaways from our experience. 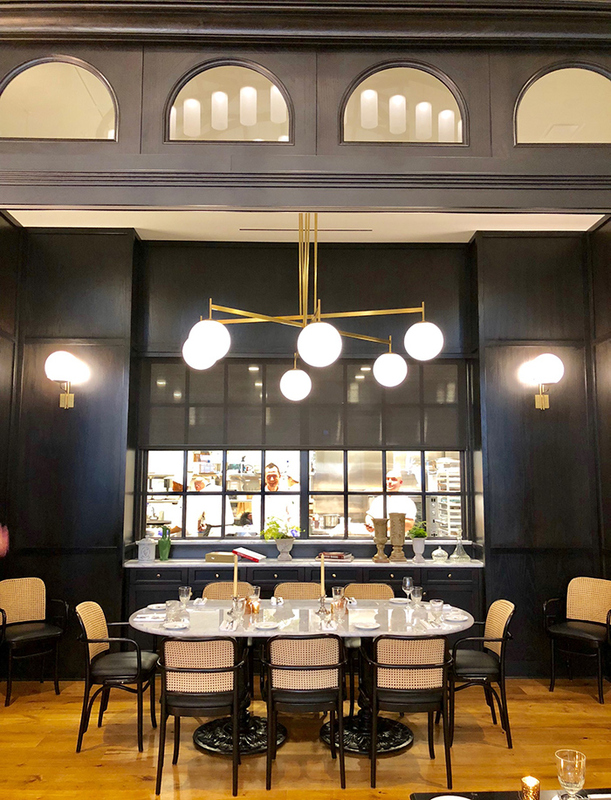 (1) La Belle Helene’s space is like nothing you’ve experienced in Charlotte — it’s truly beautiful. 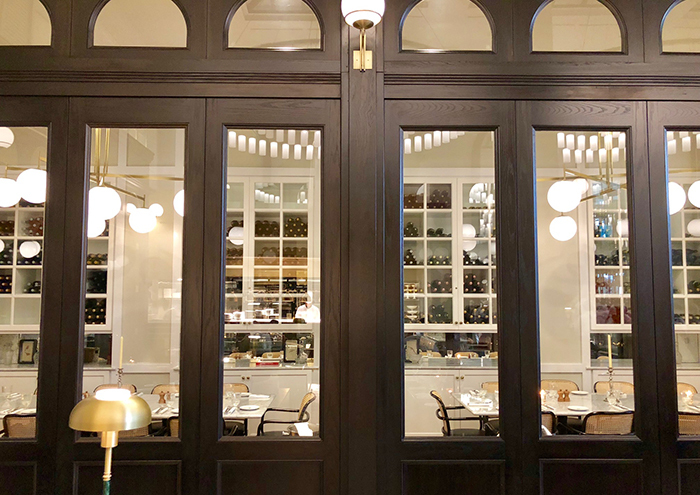 With super high ceilings and detailed interiors that include a mixture of pewter, antique wood and leather — it’s freaking gorgeous in this 166-seat restaurant. The full restaurant is 6,922 square feet — 4,005 in the dining room/bar area and 2,917 in the kitchen. If you’re looking for a cool table, ask for the group table in the far back of the restaurant with a view into the kitchen. (2) Order an appetizer — and if you’re only doing one, make it the tuna tartare. The tuna tartare ($16) with sweet corn, confit lemon and a few pieces of popcorn on top was the best thing we ate. 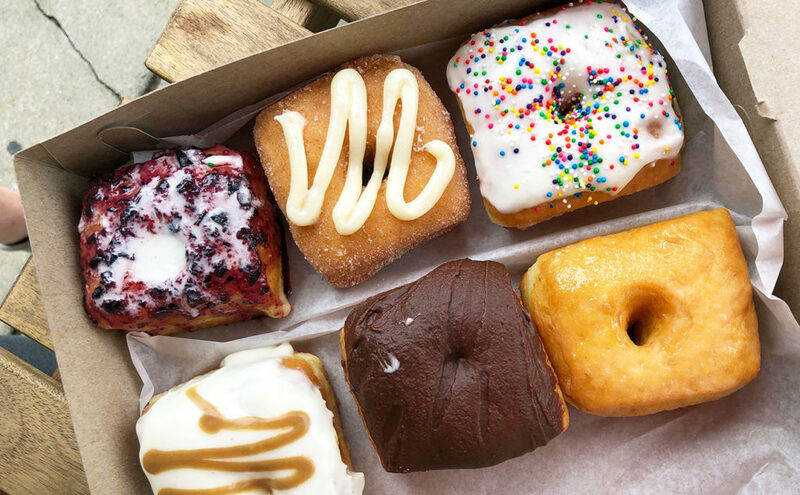 It’s a must-order. 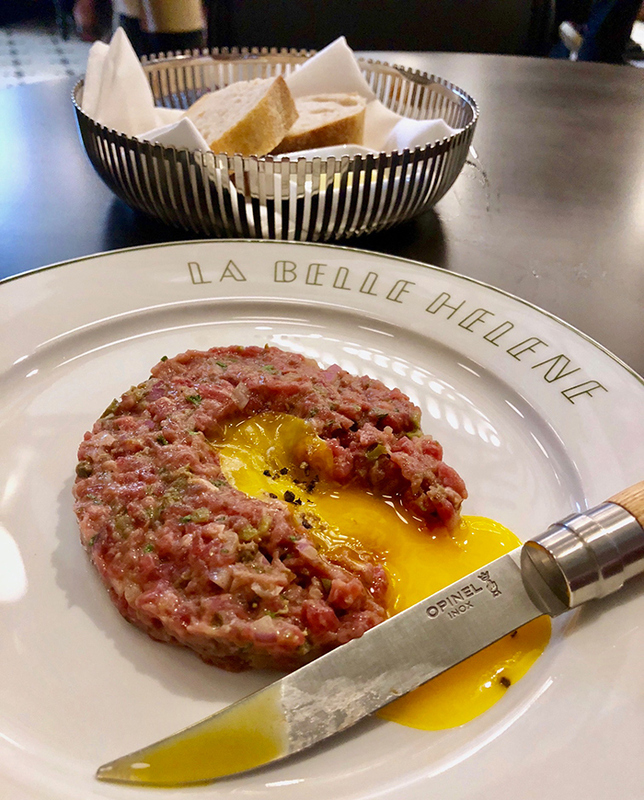 Depending on your taste, La Belle Helene’s escargots and beef tartare should also be on your radar. 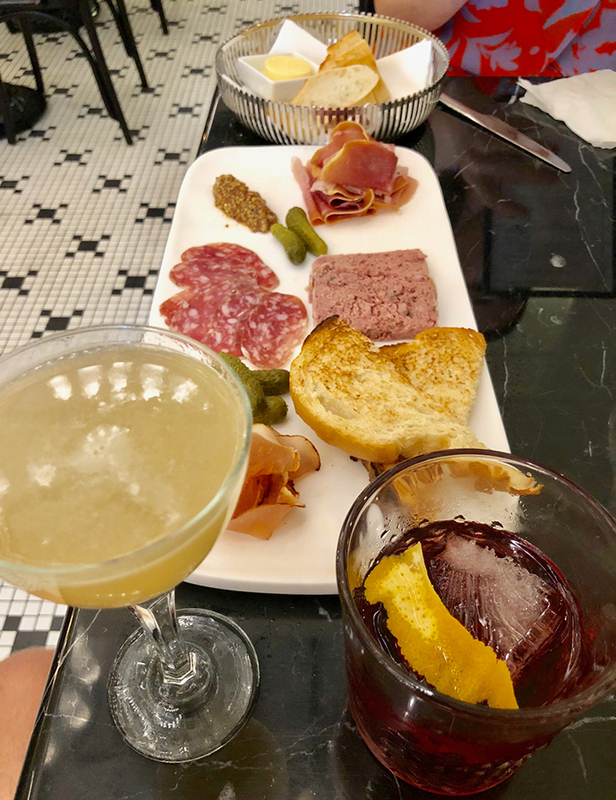 La Belle Helene offers 6 craft cocktails ranging from $9-$14. I recommend the LBH negroni ($12, right). 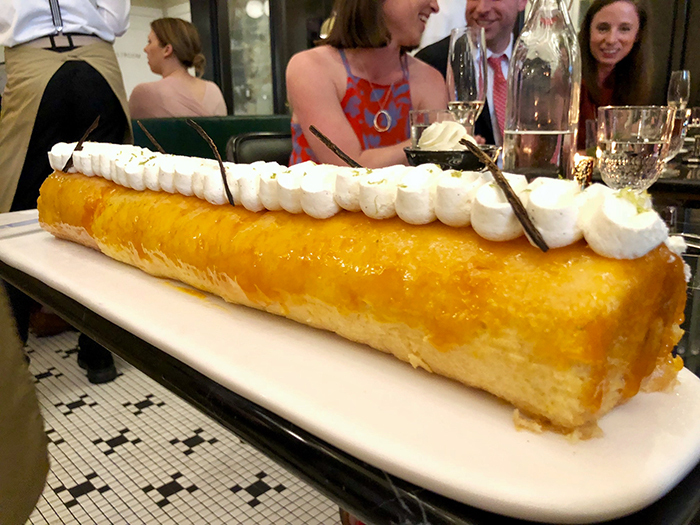 (3) La Belle Helene has super-fancy rotisserie ovens that are probably worth more than your car, but don’t sleep on their steak. 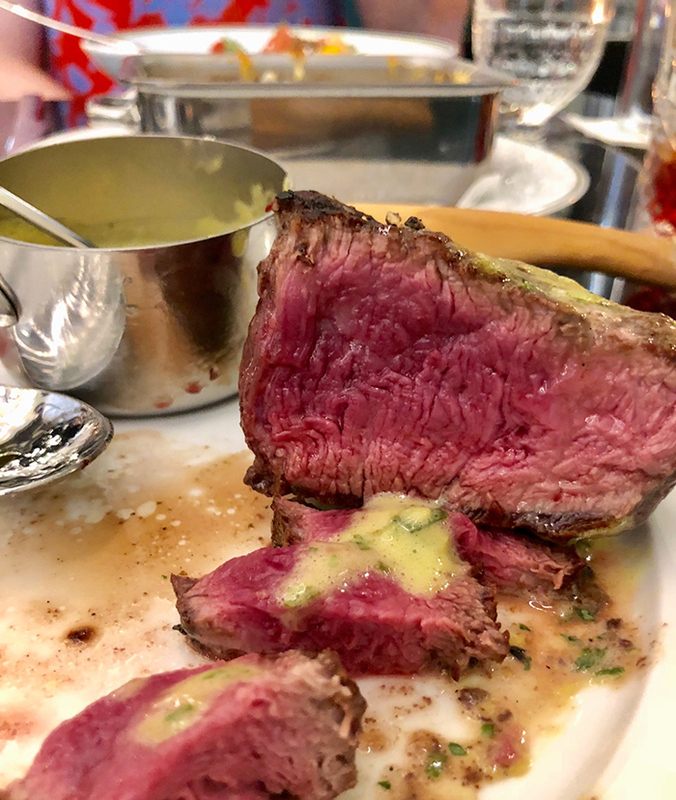 La Belle Helene has four steak options, or as they call it, “Pieces de Boeuf” — NY strip 12oz ($45), filet 8oz ($40), hanger steak ($32), black Angus ribeye for two 20oz ($56). If you order a steak, you’ll also need to choose from one of their four sauces. I ordered the filet with bearnaise sauce and it was melt-in-your-mouth delicious. (4) You’re going to want to rent a private room for an intimate dinner party or work function. 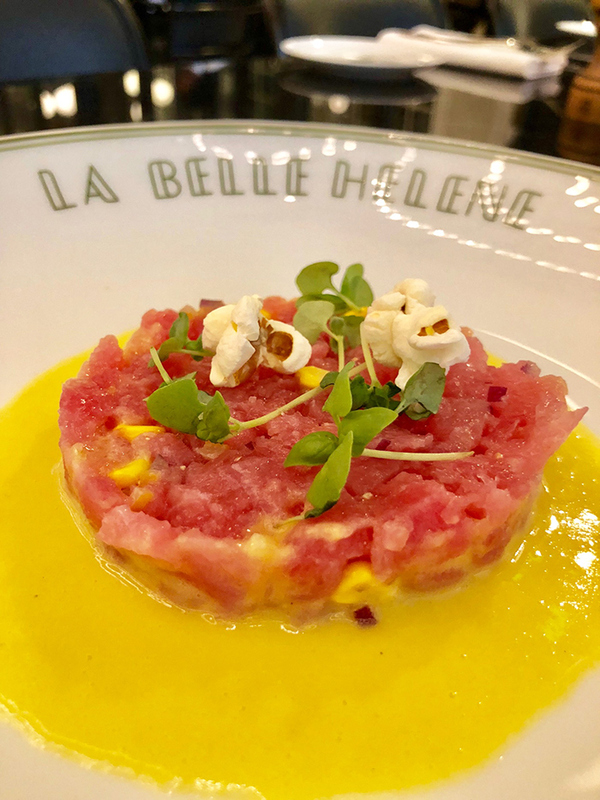 La Belle Helene has four private dining rooms. Each dining rooms seats 10 and the glass walls give you privacy, but also allow a full look out into the restaurant. 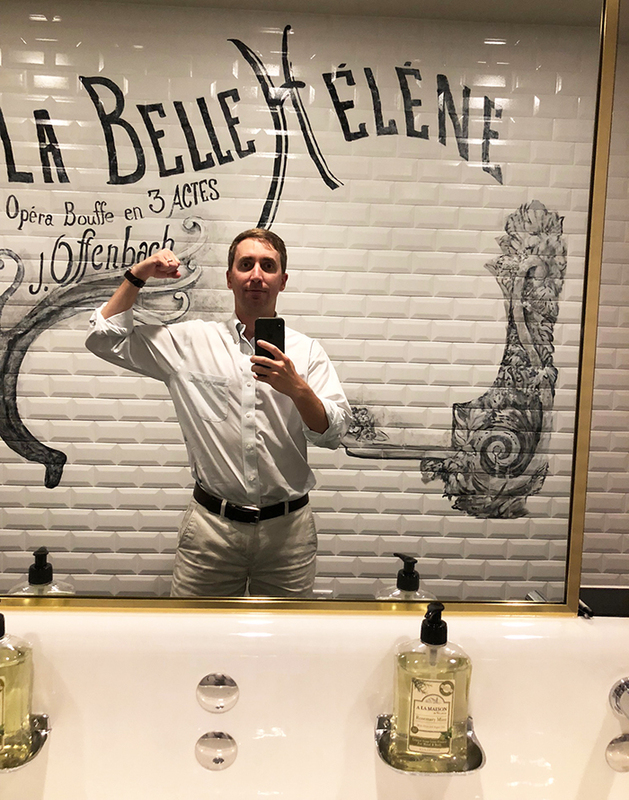 (5) La Belle Helene’s restrooms are amazing and the selfie wall is a super savvy touch. The restroom setup is kind of crazy. You have one main room with a sink and mirrors that are shared between men and women. From there, you’ll find individual stalls. It’s a little confusing and makes you feel like you’re doing something illegal — in a good way. The selfie mirror, with La Belle Helene spelled the wrong way so that it shows up the right way for your selfie is an amazing touch. They’re going to love the free marketing this mirror provides. I don’t know why I flexed in this photo. I’m embarrassed. I loved this experience. Although the rum cake made for an amazing Instagram post, I regretted not going with their creme brulee. 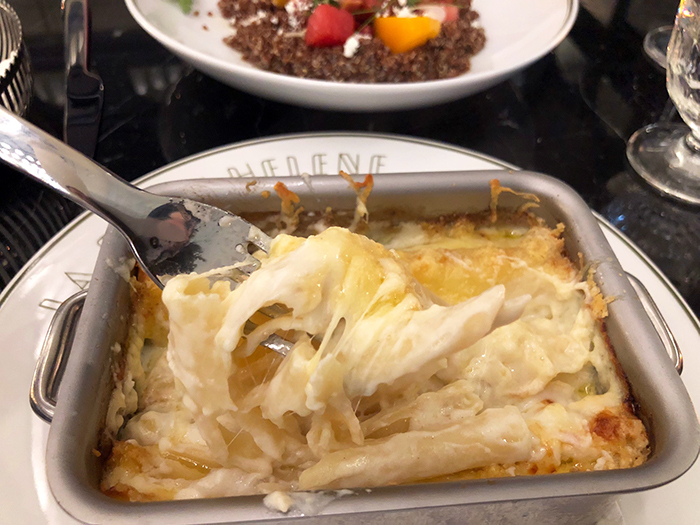 Overall, La Belle Helene is a must-visit restaurant and must be in any conversation for the best restaurant in the city of Charlotte. 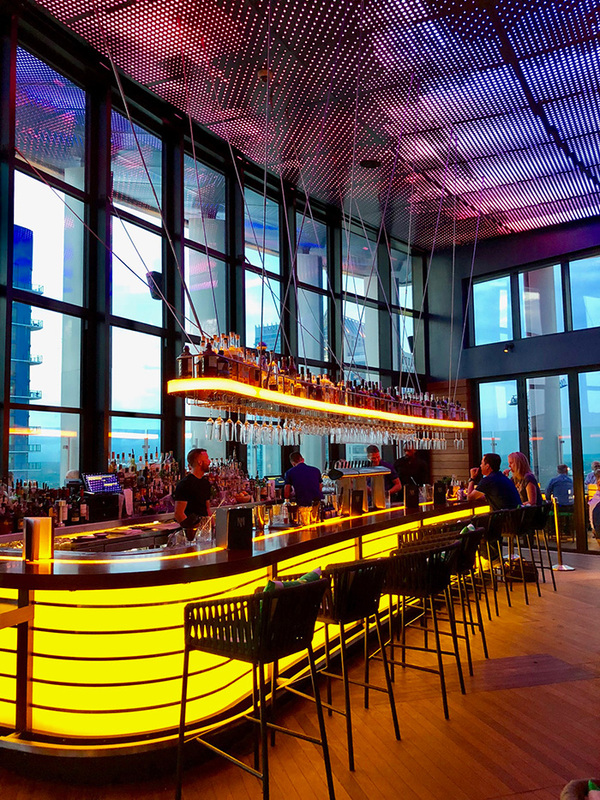 And if you’re looking to wash down your meal in another new(ish) beautiful setting, walk to the other side of the building and enjoy a rooftop cocktail at Merchant & Trade before or after your dinner. It’s a lovely pairing.